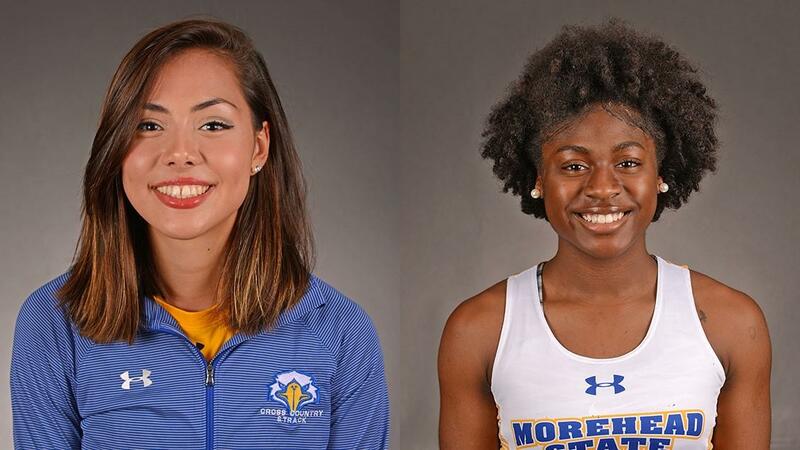 Morehead State Women's Track & Field junior Caitlin Cunningham's event victory and freshman Dakorria Winstead re-writing the school record book were the main talking points from the Marshall Invitational Saturday afternoon. Cunningham took home the overall victory in the 3000-meter run, coming home with a time of 9:59.78. The Murfreesboro, Tenn., native edged out her closest runner, SIUE's Aly Goff, by a mere six-hundredths of a second. With today's performance, Cunningham moves into third all-time in program history in the 3,000-meter run. For the third time in as many attempts, Winstead broke her own previous record in the 60-meter dash. The Owensboro sprinter clocked in at 7.96 seconds in her qualifying heat, and narrowly tying that stamp in the finals, running a time of 7.97 ticks. Winstead placed fifth in both the preliminary and final races. The Eagles will spend the next ten days preparing for the Ohio Valley Conference Championships. Proceedings will commence on Wed., Feb. 20thin Birmingham, Ala.